Unfortunately, the Mountaineer in Keene Valley, NY has had to cancel the 2018 Adirondack Backcountry Ski Festival (link) . 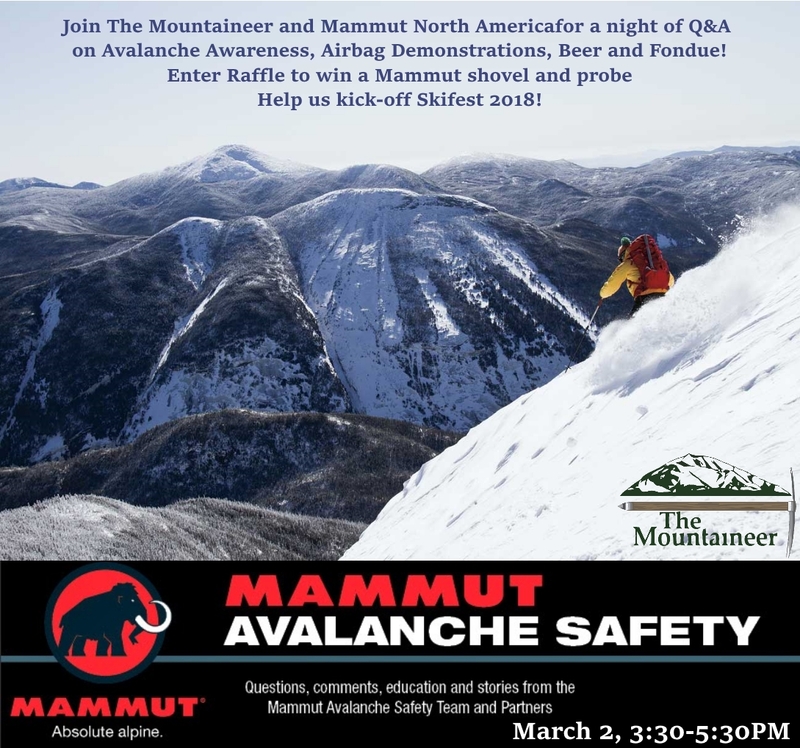 Located in the heart of the Adirondack high peaks region, the event is a fun community gathering in what is one of the coolest backcountry ski destinations in the East. When it's in shape to ski this region has mega-cool terrain and is not to be missed, but unfortunately a sufficient quantity of demo water-wings and swim fins could not be located in time. Hopefully the weather turns around again in time for a late refresh and we can all get out skiing in March and April, but for now they've been forced to cancel the event. If you have questions about the event or schedule, please drop the Mountaineer a call at (518) 576-2281 and tell them we said hi!